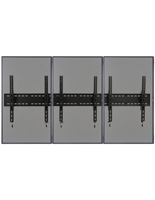 This Monitor Stand is a Sleek Wall Mount for Flat Screen or Plasma TVs Measuring 26" to 55"! 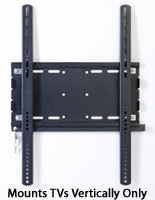 Cheap Monitor Stands with Bracket designed for 55" LCD TV Manufacturers are Ideal for Those Looking to Save Floor Space! Buy From Our Online Catalog Today! This monitor stand is designed to hold a 32" to 65" television that weighs up to 99 lbs. 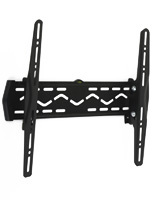 This plasma mount, monitor stand is VESA compatible for 100" by 100" to 600" by 400". 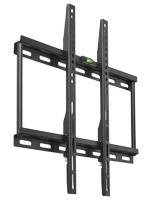 Television manufacturers and manufacturers of TV mounts work together to create VESA standards so there is a common size between holes on the back of televisions for mounting across brands. That means whether you have a Sony, Samsung, LG, or Toshiba, if your VESA numbers match those of this stand, your TV will fit. This monitor stand is an ultra thin mount that only sticks out 1" from the wall when no monitor is attached. Their low profiles make these brackets a good choice for customers who want to have a sleek, slim monitor stand for an LCD or plasma screen monitor. 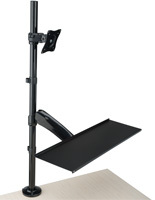 A monitor stand, like an LCD mount and flat panel bracket, includes all the necessary hardware for installation into wood studs or a solid concrete wall. If you are uncertain of your wall type, please consult with a professional. This monitor stand designed for 55" TVs and smaller also comes with a level that can be put on the display for help while mounting. 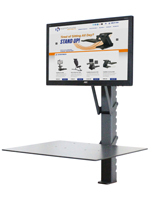 Purchase this monitor stand today for a simple assembly and installation. 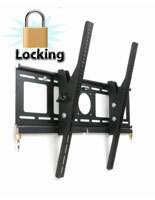 The monitor stand also includes screws and spacers that will fasten most televisions to the arms of the mount! (Some televisions may require specific screws you can pick up at your neighborhood hardware store. 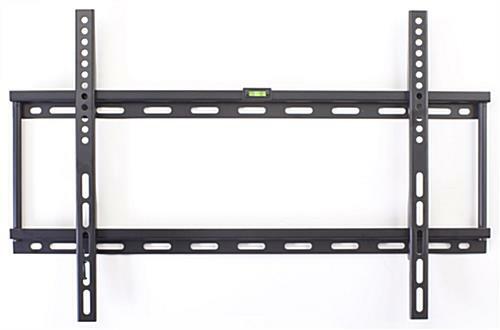 These cheap monitor stands with bracket designed for 65" LCD TV manufacturers is the ideal wall mount for home or business!